I'm cleaning my studio and trying to get as many cats out in the world as possible ... so instead of charging $60-$100 per zombie cat painting, I'm giving 50 of them away for just $20 ... with free shipping in North America. As an added incentive, one of the 50 zombie cats will come with a golden ticket that will entitle the holder of that golden ticket to receive my largest zombie cat painting to date. I don't know who will get that ticket, or even which zombie cat you will get because all 50 envelopes will be sealed before the mailing labels are attached. Want in? 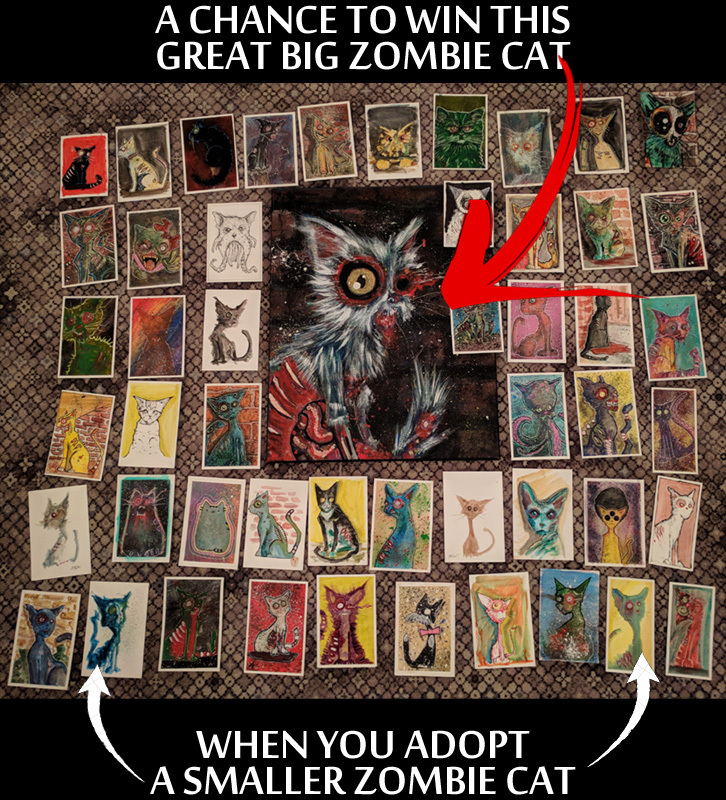 Click here to adopt your zombie cat: the sale ends once the last zombie cat is sold, and the winner is announced when they get their golden ticket in the mail. 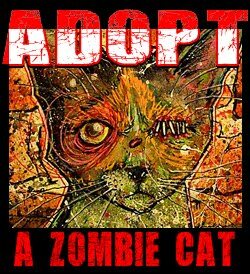 With your help all the zombie cats will ship out on Jan. 5 2018 ... so lets end 2017 by giving a small zombie cat a new home, and hope that 2018 brings another much larger cat in to your life.